Diametro 5 cm. Piccola specie che a volte solitaria ma che normalmente ramifica dalla base. Pianta dalle fioriture generose e ripetute durante tutta la buona stagione. 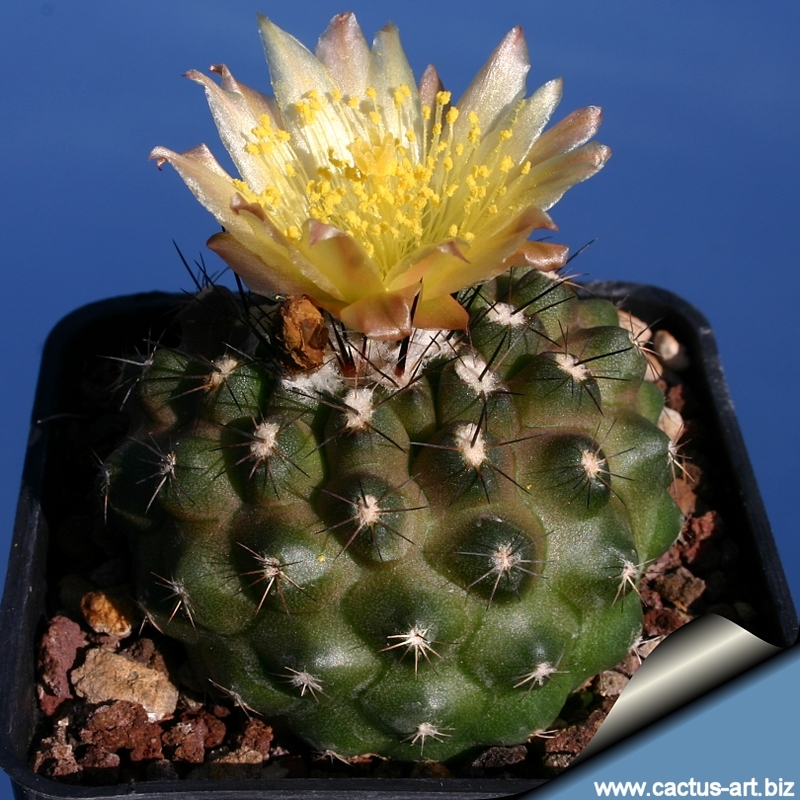 In: Studies of South American Cactaceae, Cactus & Succulent Journal (USA), 25(2): 34-37; (3):63-72 1953. 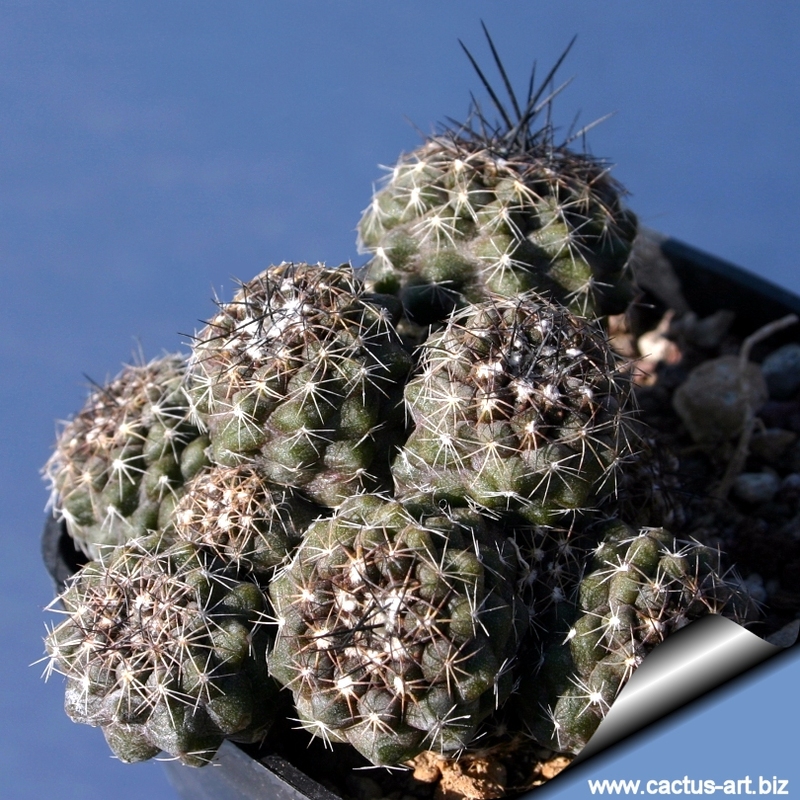 Habitat: Native to the coastal deserts on the steep mountain base among fragmented stones. 50-300 m of altitude. The long tuberous root of this copiapoa is buried deeply in these soils which are very poor in organic matter. In the area where this plants grows there is very little rain but frequent coastal fog, which provides a significant part of their water needs.The common presence in habitat of plants with juvenile spination forms on old taproots is due to the frequent grazing damage inflicted by donkeys. Listed in CITES appendix 2. Description: Very small low growing cactus sometime solitary but usually clumping at the base. It's a highly variable taxon with several more or less similar forms that could be described as local varieties. Taylor suggests that this is a very complex species or species aggregate, perhaps representing geographical varieties or, in some cases, critical species, listed here in sequence from north to south: C. tocopillana, C. tenuissima, C. variispinata, C. paposoensis, C. taltalensis, C. longispina and possibly C. chaniaralensis and C. esmeraldana. 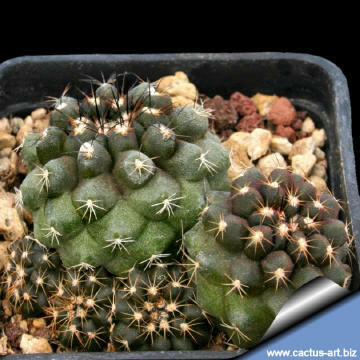 In considering Copiapoa humilis species, we need to bear in mind the remarkable differences between young plants, with short, thin spination and the darker coloration of the body compared to the more robust adults with longer and sturdy, flexible spines. Stem: Subglobular, depressed, pale olive -green to tan producing copious wool in the apex. . 2.5-9 cm. broad by 2-6 cm. high. Ribs: About 8-14 forming distinct tubercles. 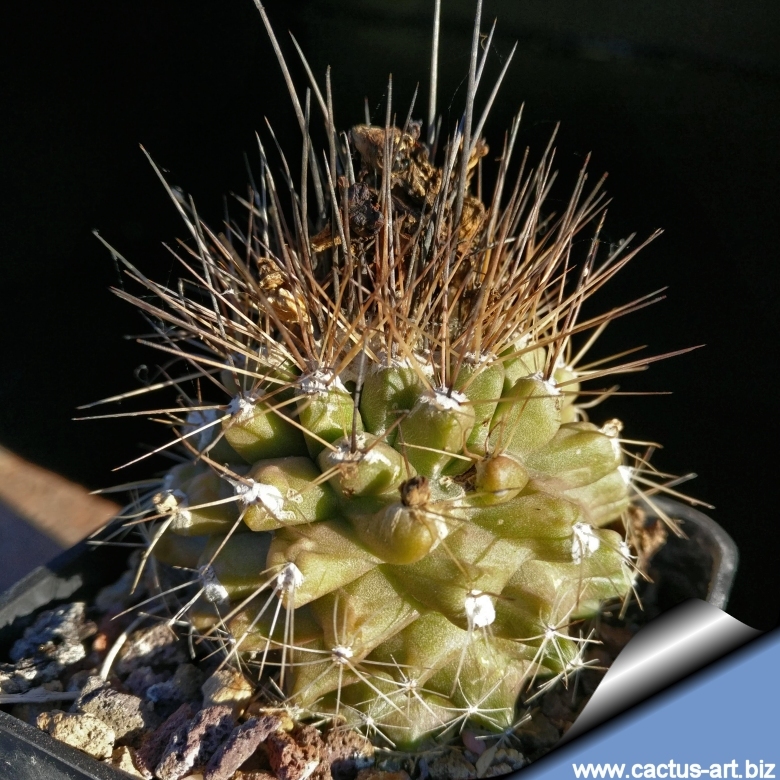 Radial spines: About 7-13, thin, needle-like, setaceous, greyish, open wide on sides, 2-25 mm long. 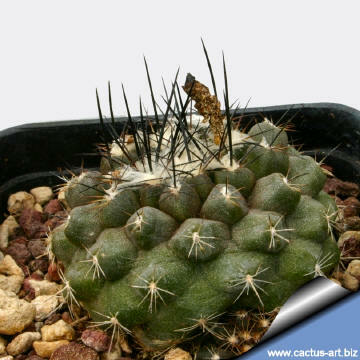 Central spine: 1 to 4, sometime absent on juvenile specimen, fairly slender, erect, gray, straight or curved 10-35 mm long. Flower: 2-4 cm. long, corolla sulphur yellow, scented. 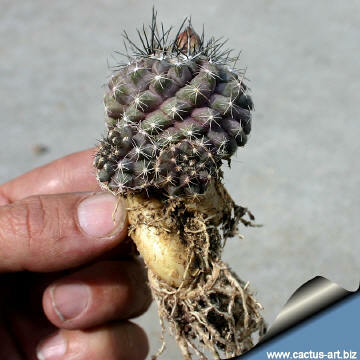 In cultivation in the C. humilis are able to flower from immature stems at an early age (c. 2 years from germination) and set viable seed. Fruit: Round, naked, bright red, up to 8 mm long. Propagation: Seeds (offsets rarely), Grafting is often used to speed growth rate and to create a back-up to plants in collection.